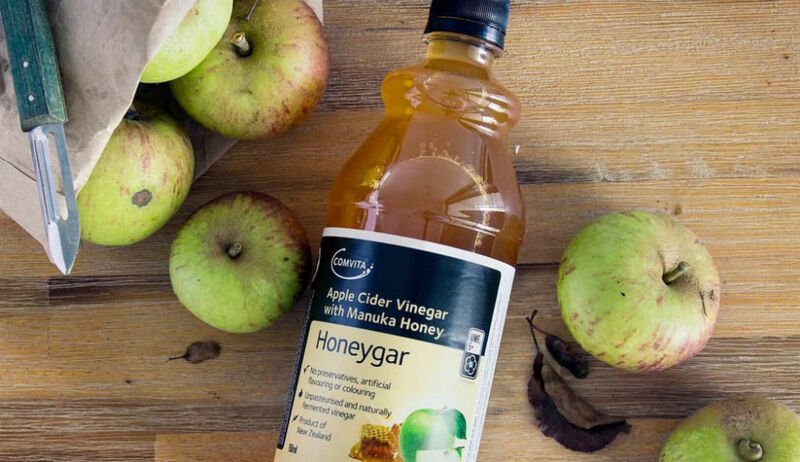 Comvita Honeygar mixes the sweet taste of Manuka honey with apple cider vinegar to create a much more palatable flavour. We’ve compiled a few of our favourite ways to add Honeygar to your diet and how you can use it to enhance your meals. The most obvious way to use Honeygar is by adding it to water. If this sounds a little bit dull to you it can be spiced up in the Summer by adding ice cubes and a sprig of mint and during the winter months you can enjoy it warm. If you’re cooking up some fruit add a spoonful of the Honeygar to it. This will enhance the flavour and be super tasty. Honeygar is great to use as a salad dressing. Just add it on top of any salad for a different taste. Marinating meat in Honeygar overnight will help to tenderise the meat as well as giving it a subtle honey flavour. Add some spices and herbs after you finish marinating and you’re good to go. If you’re wanting your rice to come out extra fluffy all you need to do is add a teaspoon of Honeygar to the cooking water. When fruit is cut up it often goes brown or gets discoloured quite quickly. If you’re wanting to pre-cut some fruit and save it for later on just add some Honeygar to a bowl of water and put the cut up fruit inside. Doing this will keep the fruit nice and fresh. If you want to try out some of these ideas for yourself you can head over to the Comvita website and get yourself some.